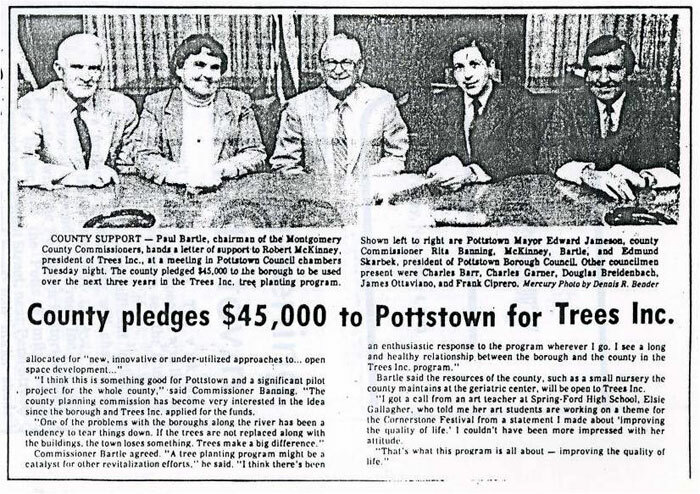 The Pottstown Tree Fund, a 501 (c)(3) non-profit corporation originally called Trees Inc., was created by a group of Pottstown, PA civic leaders in 1983 to raise funds to beautify the borough with new street trees. 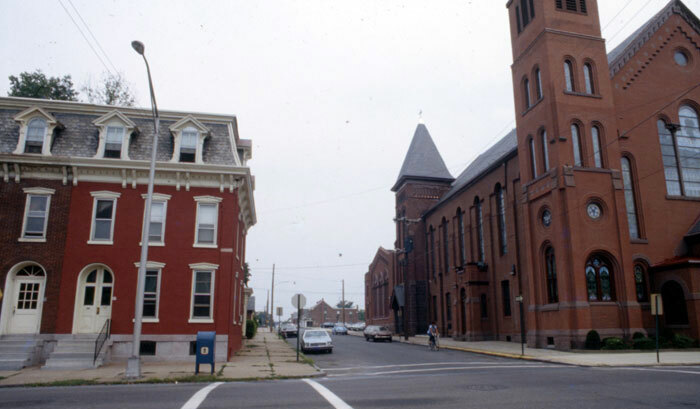 The Pottstown Mercury newspaper led a five-year fundraising campaign, which enjoyed widespread community support. 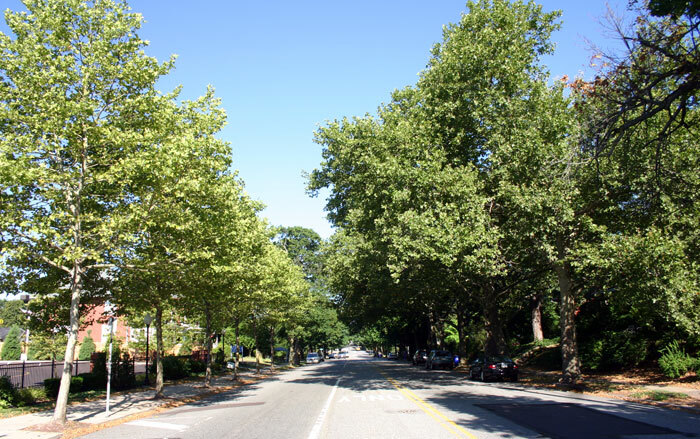 The Tree Fund is a volunteer organization, with no paid staff, overhead, or administrative expenses. All work is contracted out. 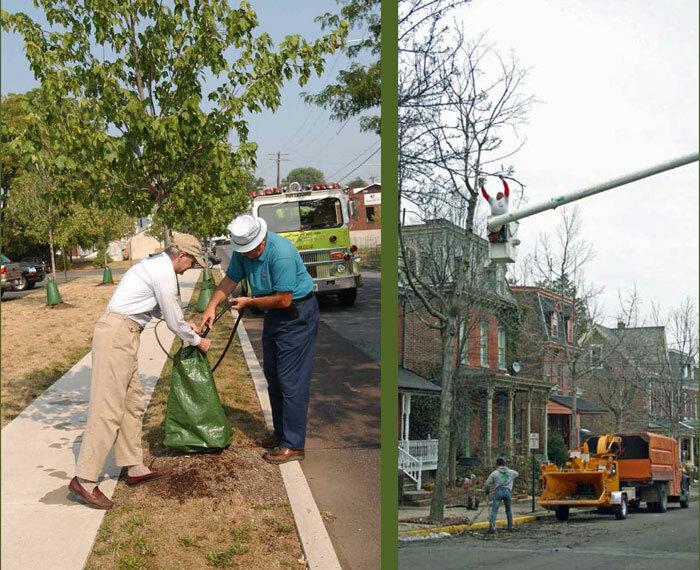 In December 2016, Trees Inc. merged with Save Our Land, Save Our Towns, a non profit dedicated to the preservation and enhancement of traditional towns. For more information, call Tom Hylton, president, at 610-323-6837 or email him at thomashylton@comcast.net. 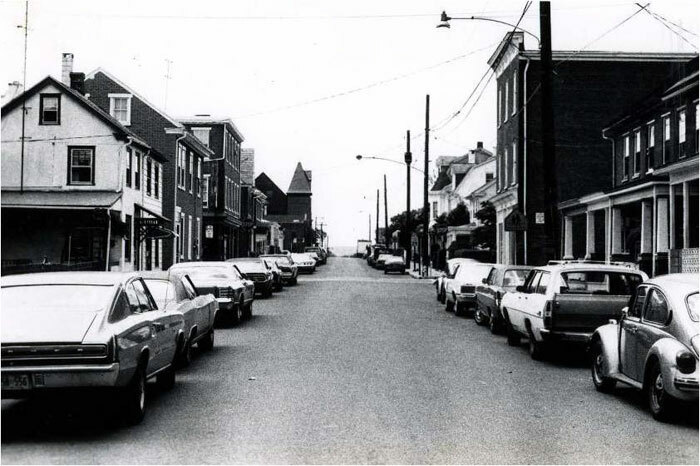 For a century, up to the 1970s, Pottstown was a prosperous manufacturing town that produced auto parts, plastics, tires, castings, clothing, shoe polish, silk thread, and steel. 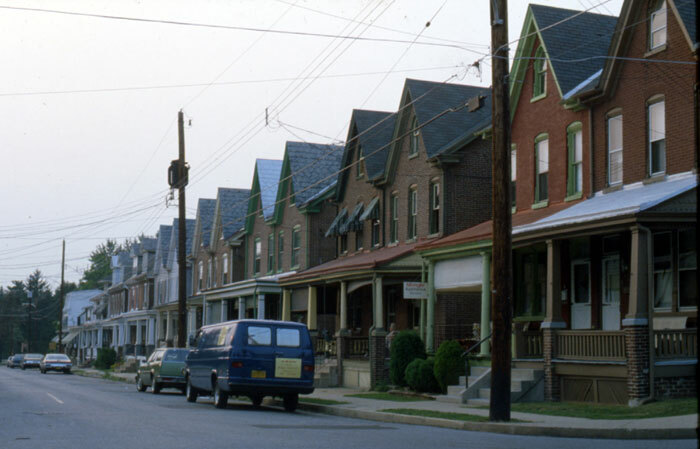 Such famous structures as the Golden Gate Bridge, the locks for the Panama Canal, and the Empire State and Chrysler buildings were all fabricated in Pottstown. 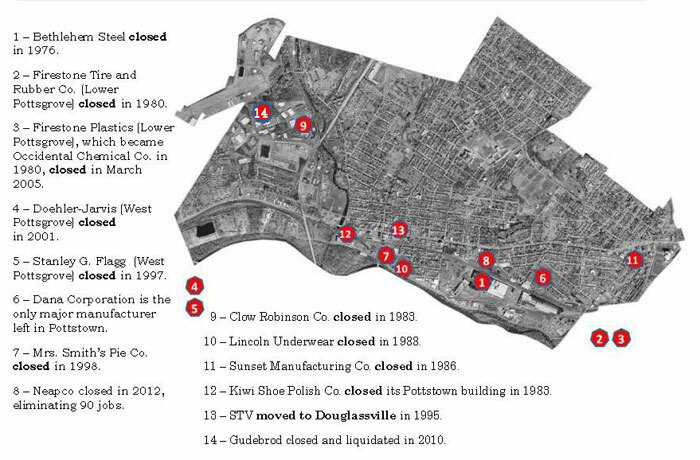 The closure of Bethlehem Steel in 1975, with the loss of 1,000 jobs, was the first of a wave of closures that decimated Pottstown's industrial base and left behind few good-paying jobs. 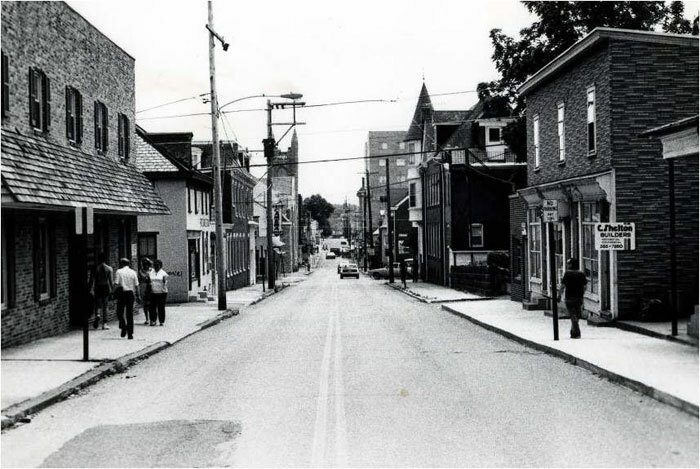 Mercury photographer Tom Kelly documented Pottstown's forlorn streets in the spring of 1983. 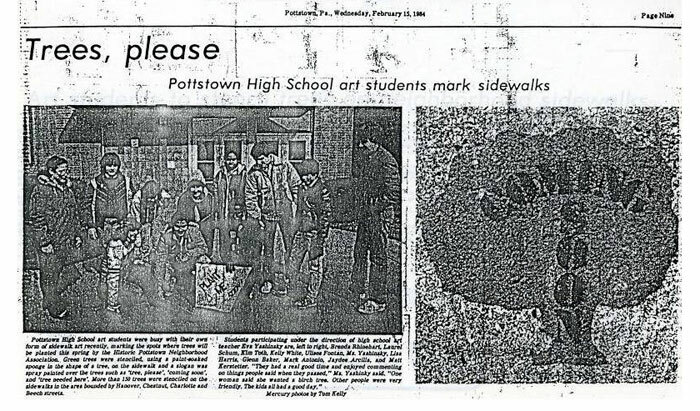 ... Pottstown High School students helped out. 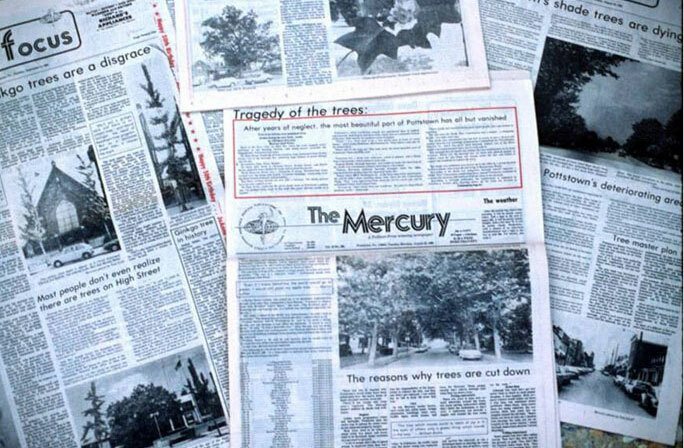 After the fundraising and tree planting campaign ended in 1986, the Trees Inc. board gradually downsized from 15 members at its peak to three today. 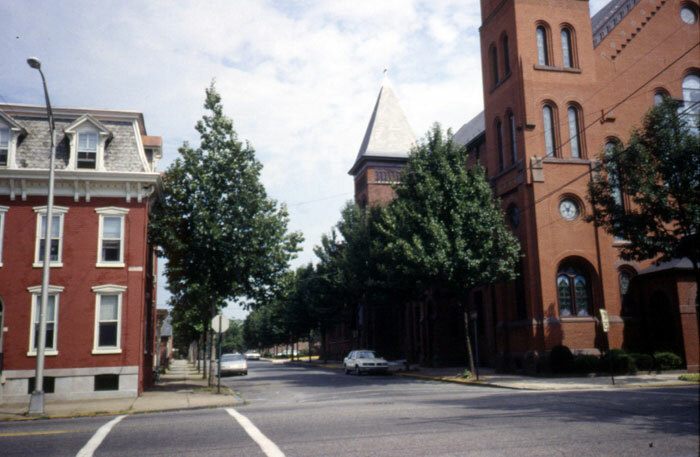 Starting in the early 1990s, Trees Inc. shifted its focus to maintain as many of Pottstown's street trees as possible, regardless of who planted them. We watered young ones during the summer and trimmed big trees in the winter. 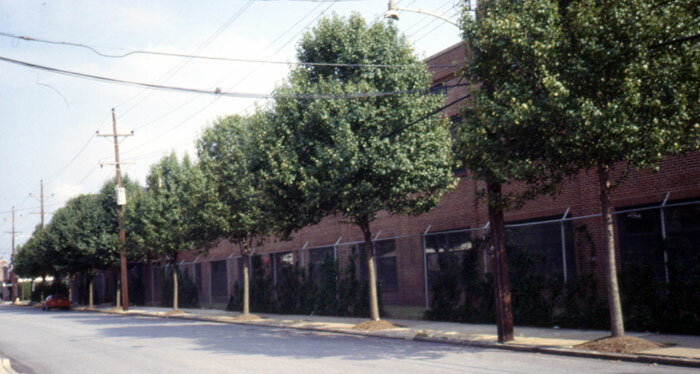 An industrial plant is screened by callery pear trees. 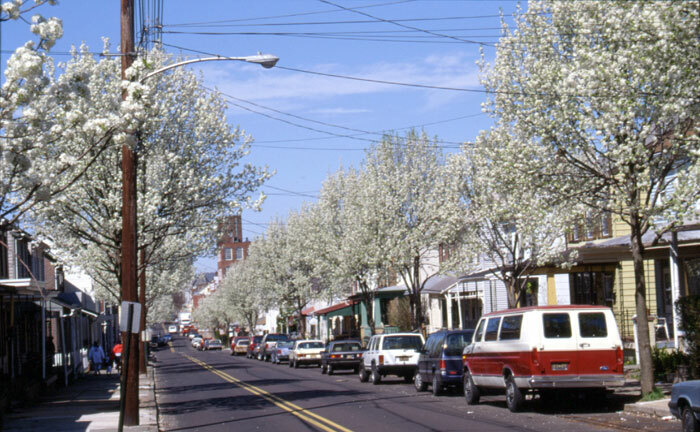 Callery pears in bloom enhance a low-income neighborhood. 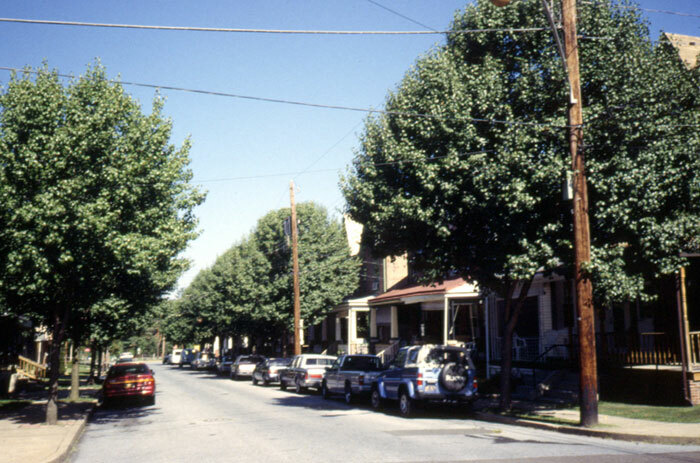 Trees planted in 1986 provide a welcoming entryway into Pottstown from the west along High Street. 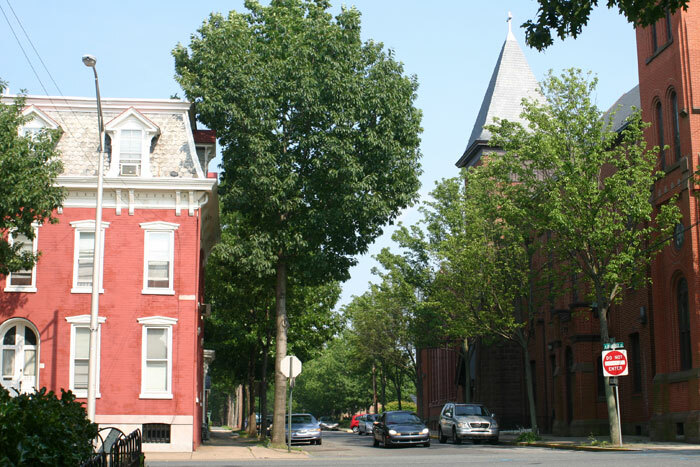 An inventory of Pottstown's street trees, first conducted by Trees Inc. in 1990 and updated annually, shows the annual value of the borough's 3,116 shade trees, as calculated by i-Tree, is more than $300,000.